It's a clash between two of the biggest names in European football in Amsterdam this Monday evening and Paul Robinson is predicting plenty of goals. "This has to be an over 2.5 selection at the prices and we wouldn’t even need the five goals that the pair of them served up when they met in this stadium six months ago." The Dutch are on a rebuilding mission following their dismal performance in European Championship Qualifying. They could only finish fourth behind Czech Republic, Iceland and Turkey, as they lost five of their 10 fixtures. Friendly results that followed were generally positive but they did get beaten twice - once by France and then more recently by Greece. They are undefeated in World Cup Qualifying thus far though as they opened up with a 1-1 draw in Sweden, before thrashing Belarus, 4-1, on Friday. This is their toughest test to date however and they remain without their captain, Arjen Robben. Wesley Sneijder provides the experience in what is quite a young set of players and they will all need to be at or near their best if they are to take anything from this game. The French were supposed to come into World Cup Qualifying as European Champions but the Portuguese threw a spanner in the works and France's best team for years had to settle for second place. The goal now will be to make amends in Russia in two years time and the experience of the summer will no doubt help them in the long run. Like Holland, Didier Deschamps' men have also taken four points from their opening two Group A games and they matched their 4-1 victory with one of their own against Bulgaria. 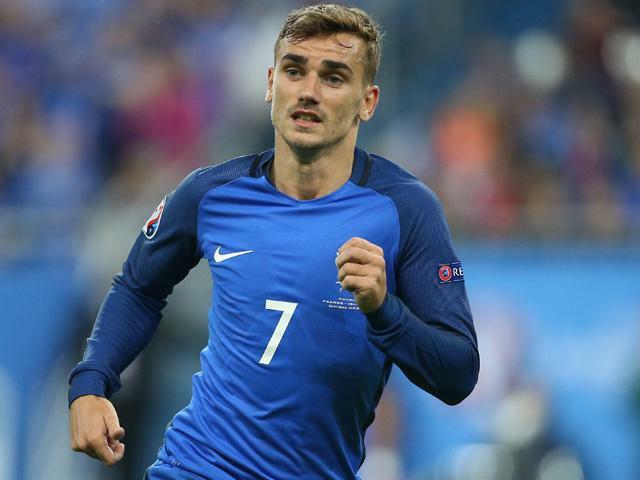 This is the toughest fixture of the group for France and with only one team certain of qualifying, avoiding defeat would be a satisfactory outcome. They did actually beat the Dutch on this ground back in March, but it took a late winner to do so as they had blown a 2-0 half time lead. The French are one of the strongest nations in world football at the moment but they are still blighted by inconsistency. Despite reaching the Euro 2016 final in the summer, they were pretty unconvincing at times and they could only draw with Belarus in their other Group A away match. The Netherlands appear to be getting stronger as each match passes by but they are still a long way from where they were a few years ago and they too have an inconsistent nature. If I had to have a bet in this market I would sit on the fence and back the draw but it's the goals aspect of the match that I am interested in the most. If I were pricing up this market I would have over 2.5 goals as the marginal favourite. After all, both of these teams scored four apiece on Friday while failing to keep a clean sheet at home against poorer opposition. The argument could be made that as a draw isn't a bad result for either side, we won't see an overly attacking approach from them, however while that may be true, the attacks on show are better than the defences. This has to be an over 2.5 selection at the prices and we wouldn't even need the five goals that the pair of them served up when they met in this stadium six months ago. There is more value to be had in the correct score market if you agree with me that it will be a high-scoring affair with not much between the two teams. The 2-2 scoreline is currently trading at around the [18.0] mark and it's worth a small investment at that price. The Dutch are scoring plenty but also conceding plenty at home, while the French are capable of going toe to toe with anybody.